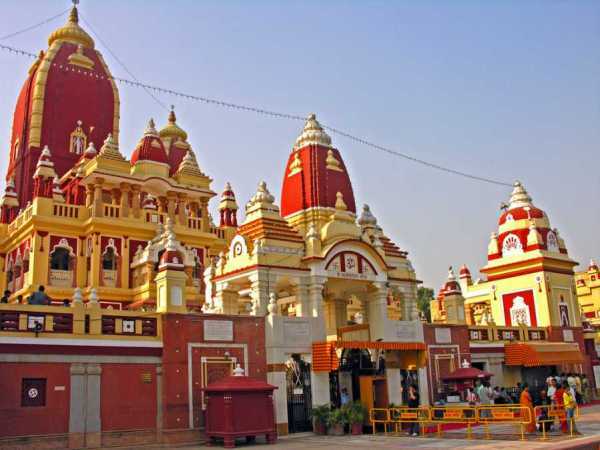 Chhatarpur Temple (Officially: Shri AadyaKatyayani Shakti Peetham) is located in a down town area in south of Delhi - Chhatarpur. This is the second largest temple complex in India, and is dedicated to Goddess, Katyayani. It is located at Chhatarpur, on the southwestern outskirts of the city of Delhi and is just 4 km (2.5 mi) from QutubMinar, off Mehrauli-Gurgaon road. The temple was established in 1974, by Baba SantNagpalji, who died in 1998. 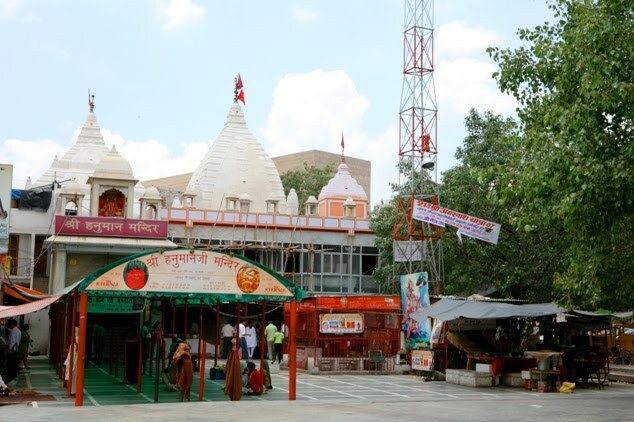 His samadhi shrine lies in the premises of the Shiv-GauriNageshwarMandir within the temple complex. 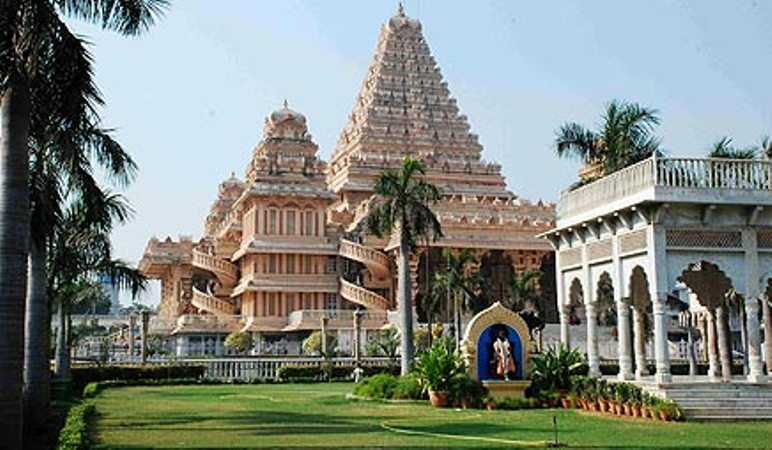 This temple was considered as the biggest temple in India and second largest in the world, before the Akshardham Temple was created in 2005 in Delhi. This temple is totally constructed from marble and on all the facets there is jaali (perforated stone or latticed screen) work. It can be classified a vessara style of architecture. The entire temple complex spread over 60 acres (24.3 ha), has over 20 small and large temples divided in three different complexes. The main deity in the temple is Goddess Katyayani, a part of Navadurga, the nine forms of Hindu goddess Durga or Shakti, worshipped during the Navratri celebrations. A side shrine within the main temple houses a shrine of Goddess Katyayani (Durga), which opens only during the bi-annual Navratri season, when thousands of people throng the premises for darshan. One nearby room has been made as living room with tables and chairs made in silver, and another regarded as the ShayanKaksha (Bed Room), where a bed, dressing table and table are carved in silver. This shrine opens on a large satsang or prayer hall, where religious discourses and bhajans, (religious songs) are held. Just at the entrance to the main temple, stand an old tree, where devotees tie holy threads for wish fulfillment. Another shrine of Goddess Durga is open to devotees morning to evening, it lies above the shrines dedicated to Radha Krishna, and Lord Ganesh. Apart from this the complex also has other temples dedicated to Lord Rama, Lord Ganesha and Lord Shiva. 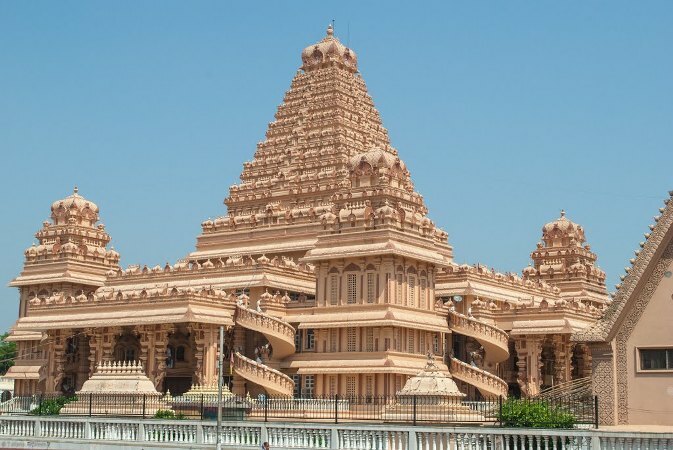 The temples have been built in both South and North Indian style of temple architecture.